A staff development resource exploring inclusive ways to teach, support and engage mature students in the university classroom. "As a mature student it’s a very different experience and I find that there’s not the integration other students have, which is understandable but also lends itself to making group work a bit awkward. You feel quite separate I think." - history student. "The biggest thing that I enjoy from being at uni is just to have a bit of ‘me time’. That sounds really weird, but because I’m a single mum it’s quite ‘go go go’ so I enjoy coming to uni, I enjoy just learning... I feel more focused now." - education student. 1. What do you think some of the implications might be, positive and negative, of being a mature student studying your course? 2. How could universities, academic staff and fellow students support mature students to feel included within the university community and to succeed in their studies? 3. What could you do in your role? Students who are over 21 at the start of their course are defined as mature. Yet this encompasses a broad age range, all of whom may have difference experiences of studying in higher education. In the examples above, the mature student in the first quote felt she was more invested in her studies than her younger colleagues and that made making friends difficult. In the second quote, the student was in a course where mature students were in the minority and because of this found group work awkward. The mature students we spoke to in our interviews also raised issues about balancing parenting and study, managing finances and feeling excluded from the social activities and experiences of their fellow students. Balancing complicated lives with study requires careful time management and cancelled or rearranged lectures may have more of an impact on someone who has booked and paid for childcare or who has travelled in to campus from home, for example. The earlier that timetables, including assignment deadlines, can be published the easier such students will find it to organise their time. Those returning to learning after a period of study may not have A level knowledge fresh in their minds but may have other relevant professional experiences. Be aware of the different entry qualifications into your course and what these entail. Communicating what will be expected academically, including recommending pre-reading or arranging catch-up sessions, may help ease the academic transition for those returning to learning. Provide flexibility in the way students can contact you, such as by email, recognising that those with additional commitments may not be able to attend your office hours. Upload lecture notes online through the Digital Learning Environment, so that students can easily catch up if they occasionally have difficulty making the class. Recognise and value your students by approaching teaching sessions with an ethos of partnership, where both students and staff are seen as belonging to a community of learners. 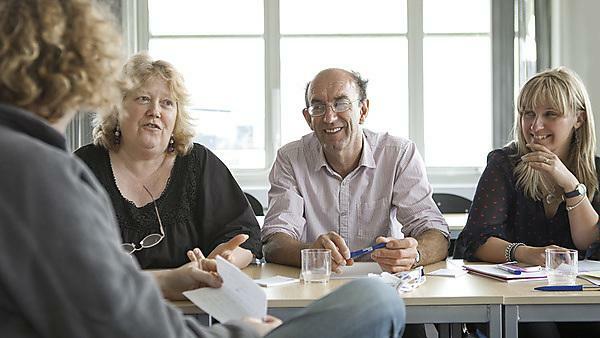 Provide opportunities in group tasks for mature students to demonstrate their experience and expertise (where they wish to and where this is relevant to the course). Students in their 20s may feel very different to those in their 40s. Don’t assume students see themselves as ‘mature’ and avoid using that label unless you are confident that the student is happy to use it. Opportunities to work in small groups can make it easier for students to get to know each other and ease social integration. Provide opportunities for small group discussion and, where appropriate, mix up the groups occasionally to avoid cliques forming. Make students aware of dedicated events and facilities for mature students such as Facebook groups and the UPSU mature students’ forum. As a mature student it’s a very different experience...You feel quite separate I think. Watch our students talk about the experiences of studying as a mature student.